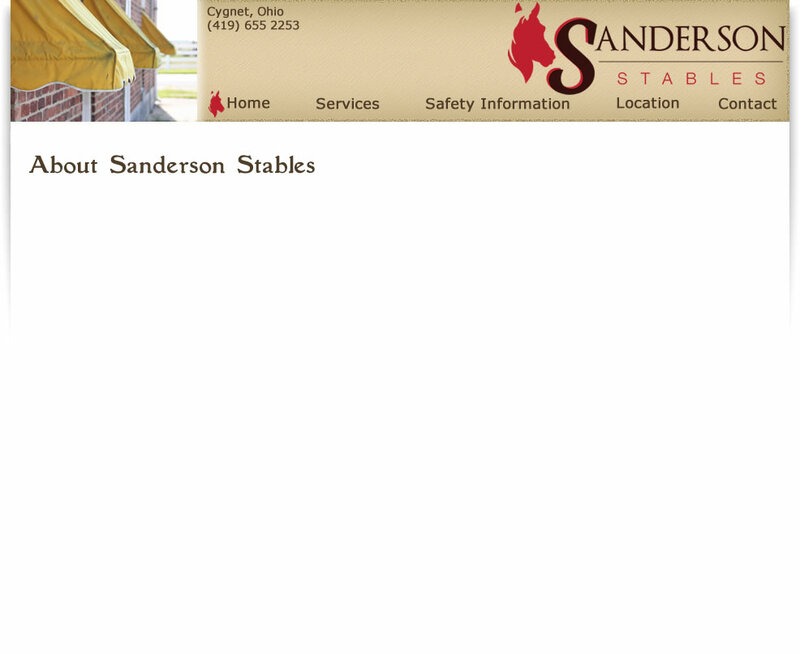 Established in 1982 as an Instructional Stable and Riding Academy, Sanderson Stables provides the highest quality riding instruction and Distance Learning for all ages and levels in a family operated environment. We provide the Western/English Horsemanship Physical Education Classes for Lourdes College, Northwest State Community College, and Terra State Community College. Bowling Green State University Students please contact us for Registration. Our Equestrian Stable Management, Trail Riding, Contesting, Driving and Buggies Courses, as well as our new Riding Instructor Education Program are available for credit or non-credit. Sanderson Stables conducts all courses and clinics to the general public and college students in Western and English styles. Each student may pick from a wide variety of Stable owned horses and tack in which they and the instructor feel most comfortable. Feel free to call us at 419-655-2253, fax us at 419-655-3455, or email us for more information and/or registration. Fully insured.